Capture or save images on your computer to add to training material and content. Visuals can be easier for your learner to understand instead of lines of text. Sometimes a simple screenshot will do the trick. For example, take a screenshot of a feature on your computer to show your users where they can find that feature on their own device. Tip: Avoid cluttered training material by keeping the number of images in a document to 3 or less. On a Mac, take a screenshot of a selected area on your computer by holding down the cmd+shift+4 keys. Hold down your cursor and use your mouse to select the area of the screen you want to capture. To capture an image of your whole screen, press cmd+shift+3 keys. The image will save to your desktop as a PNG file where you can then add it to other documents or content. Read more about taking screenshots on a Mac here. On your PC, take a screenshot of a selected area on your computer by opening the snipping tool, then press the Ctrl + PrtScn keys. This captures the entire screen, including the open menu. Click “Mode” and choose from the options of the type of snip you want to take.Read more about taking screenshots on a PC here. If you're looking to annotate or highlight an area on your Mac, a free app called Skitch will help you select and annotate on the image quickly without having to use a more sophisticated software tool. Download Skitch and then hold down the cmd+shift+5 keys. Use your cursor to select the area you want to capture, then click “capture.” The Skitch application will then load with your selected screenshot. Skitch allows you to easily add arrows, boxes or text to offer more instruction within the image. To perform more advanced actions on your screenshots on your PC, download a free application called LightShot. LightShot allows you to draw, highlight and point to areas of your image. Similar to the snipping tool, you need to search for the app and open it to take a screen shot. It then will load into the LightShot editor where you can add extra details to the image. The file is then saved to your local drive when you're done. The meaning “Graphical Interchange Format” won't mean much to the average person. Think of a GIF simply as a format for image files that supports both animated and static images. It's great for taking very short screen recordings (60 seconds or less). GIFs capture images on the screen, but will not capture sound. If you're looking for a more detailed video, GIFs are not the solution since they only capture a snippet of information. Tip: GIFs are larger in size than a screenshot, but still small enough to be added to emails as attachments or embedded on web pages. For a no frills approach to creating GIFs, Lice Cap is the perfect tool. This tool is supported on both Mac and PC and can be used to capture simple animated snippets of your screen. Once downloaded, open the application and a window will appear which your can adjust to capture your GIF. Surround the area you choose to record, click record and choose a folder to store the finished GIF on your computer. Giphy Capture is similar to Lice Cap, except it allows for more customization. After recording your GIF you can review it, change frame rates, loop type, pixel size and add captions. These extra settings allow you to create “high res” or “low res” qualities of your GIF which can be used in different content types. Tip: Increasing the frame rate and adding captions will increase the size of the GIF. Screen to Gif is a GIF creation tool with more editing power than Giphy Capture. To use Screen to GIF, open the application and capture the area then click record to record the GIF. Once recorded, the editor options will appear which you can tailor your GIF to suit your needs. 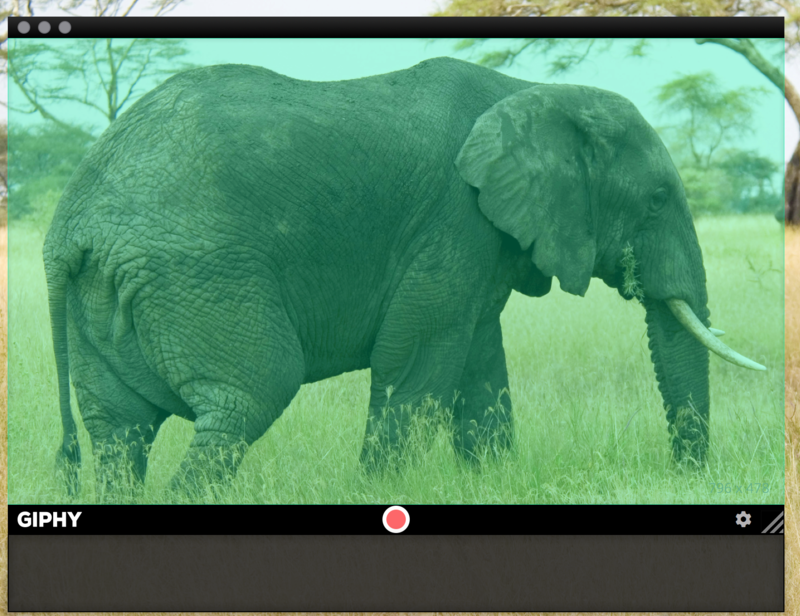 Tip: Add captions or transitions to the screen to make your GIF clearer to your learner. Short videos are an effective and compelling type of content. Going one step further than an instructional document, web page or image, they allow you to reinforce the message you're communicating to your learner with a strong visual. While videos may sound like the best option for content creation, they're one of the hardest to produce in terms of technical capability and time. If technical skills and time are on your side, create an instructional video that will help your learners soak in all of the information at a greater rate. 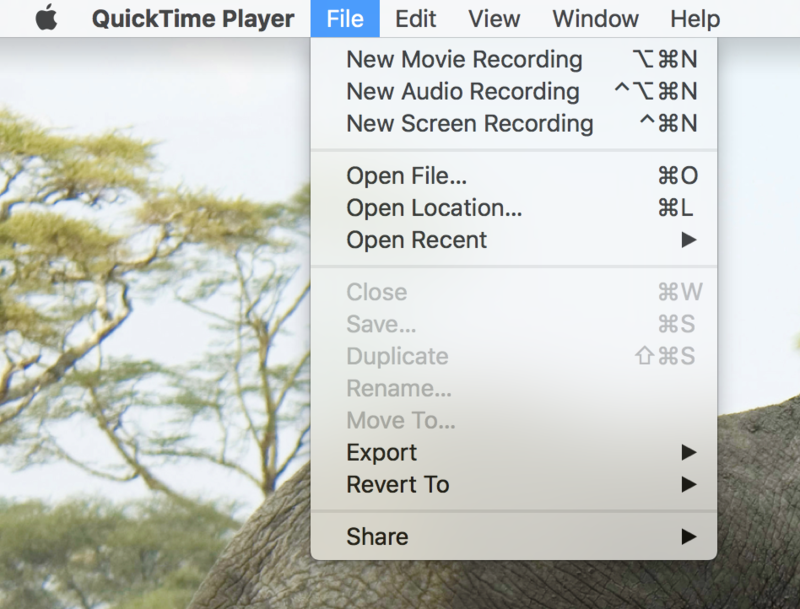 Quicktime Player is a free application on all Mac's and Windows machines. With Quicktime, you can record your whole screen or a chosen section of your screen with or without audio. Open Quicktime recording and choose “New Movie Recording” for both screen and sound, “New Screen Recording” for screen recording only and “New Audio Recording” for audio only. Tip: Speaking at the same time you record can speed up post production. If you want to record from your iPad, iPhone or smartphone device, ensure it's plugged into your computer via USB. Choose the device from the options menu under the record button on Quicktime. Devices running iOS 11 can now record screens directly from the device by choosing the “Record” option in the control center. Tip: iOS devices running iOS 11 can now record screens directly from the device by choosing the “Record” option in the control center. Camtasia is a video editing software which can accommodate all of your production and post production needs. The learning curve is small, making it easy to understand and perfect for any novice movie maker. While it isn't free, try it out on a trial basis on the Tech Smith web page. Camtasia lets you record your screen and audio the same way you would with Quicktime player. The software allows you to cut, rearrange, and add audio to your footage. Tip: Use slide transitions, captions, and custom animations to make your video look more professional.